Latest PostsEnjoying Less Noise With Siding Replacement4 Things to Take Care of During a Roof Replacement ProcessDIY Projects and The Various Ways They Can Go WrongOur Commitment to Service: The Quality Home Exteriors WayWhat Sets Quality Home Exteriors Apart From the Competition? 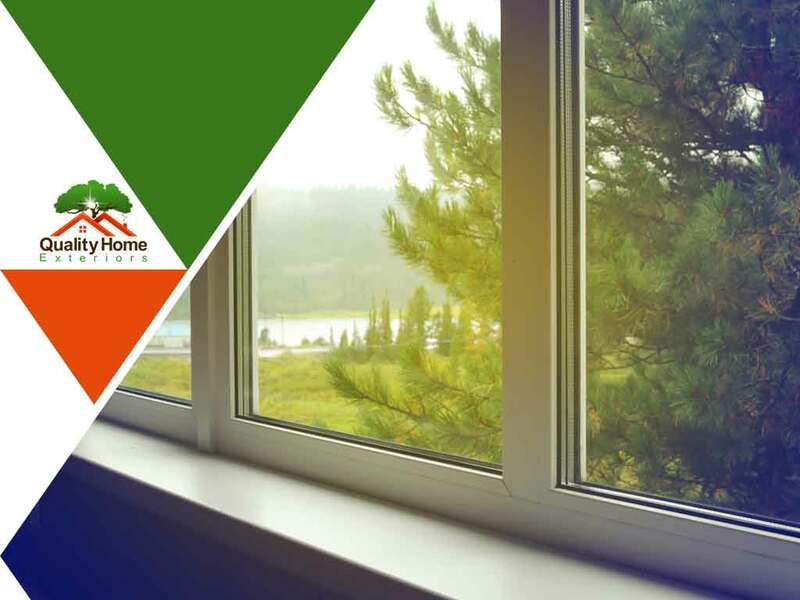 As with every home window replacement job, the more information you have about the window materials and the services you need, the more closely the output will meet what you want to achieve. And with the constant rise of innovations in window technologies, it’s important to know that what was once considered the best material in the past, may no longer be meeting the stringent standards of today. And that is true for vinyl and wood. Here’s why these materials may not be the ideal choice for your home window repair. Wood has been the go-to material for many years, so it’s no doubt that homeowners and contractors consider it first when choosing what type of window material to buy. Still, wood is pricier than most materials on the market and it requires regular maintenance to make sure it will function at its peak. While vinyl windows can be energy-efficient and have more design potential than wood, they’re less sturdy than other window materials. Vinyl contracts and expands during temperature changes, resulting in higher chances of glass breakage and moisture infiltration. Aside from that, homeowners cannot repaint vinyl windows to match decor so they need to replace the whole window if they decide on another shade down the line. Apart from wood and vinyl, there are other materials you can choose when considering a window installation. Aluminum, for one, offers an affordable and low-maintenance option similar to vinyl windows, but is the more popular choice because of its unparalleled strength and durability. Another great material worth considering is fiberglass. It’s also gaining popularity as it has a conventional wood profile but requires minor maintenance as compared to its wooden counterpart. Fiberglass windows are also resistant to rotting and offer better insulation than wood. When choosing a window material, it’s important to identify the features that are most important to you. Once you have answered this question, it will be the ideal time to contact Quality Home Exteriors to schedule a consultation. Quality Home Exteriors proudly serves the areas of Lincoln, NE, and Kansas City, MO. Call us at (402) 401-4505 to learn more about our services. Quality Home Exteriors provides a stellar window replacement, siding replacement, roofing replacement, door replacement, or gutter replacement experience that will be easy for you and your family! Copyright © 2019. Quality Home Exteriors.